Matthew Murray is an international lawyer who was a senior advisor in the Obama Administration on anti-corruption issues from 2012-2017. He served as Deputy Assistant Secretary for Europe, the Middle East and Africa for the U.S. Department of Commerce from 2012-2015 and Senior Advisor on Governance and Rule of Law for the US Agency for International Development from 2016-2017. The views expressed in this blog are based on the article he co-wrote with Andrew Spalding, Professor of Law, University of Richmond, “Freedom from Official Corruption as a Human Right”, (Brookings, January 2015). The UN Human Rights Council recently adopted a resolution calling for States to treat the prevention of corruption as an essential pre-condition of upholding human rights. Resolution 35/25 challenges global stakeholders to recognise how, as the Universal Rights Group has demonstrated through its ground-breaking statistical research, corruption has a negative impact on human rights across the globe. There is increasing evidence that official corruption provides both the incentive and the means to repress human rights. The abuse of public office for private gain – as corruption is now defined – often results in patterns of repeated violations of human rights. To meet this challenge, the HRC’s new resolution seeks to integrate and reinforce international law’s complimentary objectives of anti-corruption and protection of human rights. No single State can either uphold human rights or fight corruption effectively without the cooperation and support of other States. Resolution 35/25 calls upon more States to adopt the United Nations Convention Against Corruption. It further recommends that States coordinate adoption of mutually reinforcing actions to strengthen good governance and the rule of law, including best practices on prevention of corruption set forth by the UN High Commissioner for Human Rights. As a next step, the HRC should now consider whether the time has come to create freedom from official corruption as a fundamental and inalienable human right. This historic action would place anti-corruption norms upon a stronger conceptual foundation under international law, prioritise anti-corruption enforcement as a matter of policy, and focus that enforcement on improving the lives of corruption’s victims. Presently, there is a fundamental gap in the architecture of international law. 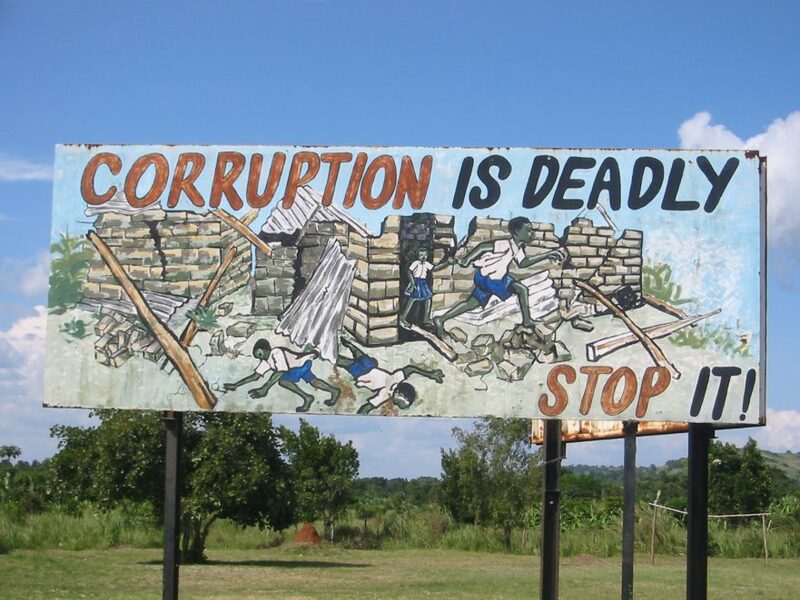 The global community now widely recognises corruption involving public officials as a principal cause of human suffering and deprivation, but not as a violation of a human right. The major rights conventions, including the United Nations Universal Declaration of Human Rights and regional conventions adopted in Europe, the Americas, Africa, and Asia, do not include freedom from official corruption among their enumerated rights. In addition, the prevalent international anti-corruption agreements, such as the United Nations Convention Against Corruption and the Organization for Economic Co-operation and Development Convention on Combatting Bribery of Foreign Public Officials in International Business Transactions, do not frame official corruption as a rights violation. Rather, as resolution 35/25 makes clear, official corruption is typically understood as a means by which established human rights are violated. Both the United Nations and regional multilateral bodies have continued to expand upon the ‘first-generation’ civil and political rights, such as freedom of speech and religion. They have created ‘second generation’ economic and social rights, such as rights to property, education, and health, and beyond. These bodies seek to uphold these rights by, inter alia, requiring governments to adopt and enforce laws that prohibit corruption. They have not, however, recognised freedom from official corruption itself as a human right. Yet, there is a strong case that freedom from corruption is an inalienable, universal right belonging to all humans that the HRC should examine. Though current international treaties do not recognise the right, international law experts have long acknowledged that these instruments are but one of several bases for making a rights argument. And, there are at least three legal lines of reasoning that argue for considering the creation of a stand-alone right. First, and historically the most foundational, is natural law, particularly the writings of John Locke. Though Locke did not use the term corruption, the concern with protecting citizens from the abuse of public office pervaded his rights theory. What Locke calls liberty is ‘to have a standing rule to live by, common to every one of that society, and made by the legislative power . . . not to be subject to the inconstant, uncertain, unknown, arbitrary will of another man.’ That is, our natural right to liberty can only exist where government exists and its officials do not abuse their public office for private gain, where they do not act corruptly. A second promising basis for identifying the existence of a human right is cross-cultural research that discovers fundamental values shared by all cultures, or ‘cross-cultural universals.’ In such diverse traditions as East Asian Confucianism, and Middle Eastern Islamic law, freedom from corruption is deemed among the first principles of government. Third, despite controversy, the international rights regime has formed a human right to enjoy possession of one’s property. Starting with the UDHR in 1948, a right to property has since been adopted in one form or another in the human rights agreements of the regions of Europe, Africa and the Americas. In 1952, for example, after much debate, the Council of Europe amended the European Convention on Human Rights (ECHR) to provide for the ‘peaceful enjoyment of one’s possessions’ under Protocol 1, Article 1. The European Court of Human Rights has since adjudicated several individual claims against public officials for corruptly taking or expropriating private property under Protocol 1, Article 1. A ‘rights paradigm’ would increase political will to take the difficult steps required by both government and citizens to counter official corruption in important ways. First, deeming corruption a rights violation gives international and domestic laws greater normative weight, heightening their importance in public policy. Rights violations have long been understood as more egregious, and a higher enforcement priority, than torts or even crimes. Second, acknowledging a universal human right to be free from corruption effectively counters the most oft-heard objection to international anti-corruption initiatives: that corruption is cultural. Third, it could provide a basis for citizens to bring corruption cases not only in their own countries but in international tribunals that could be established in the future to adjudicate these issues, such as special tribunals that are being set up in various countries to hear and adjudicate cases of corruption. In summary, it is time to re-evaluate the argument that it is more constructive to promote anti-corruption as a means to protect other human rights than to create a stand-alone right. The UDHR establishes a range of human rights, including civil and political rights as well as economic, social, and cultural rights. This inclusive approach was based on the principle of indivisibility — that by combining the different rights, they could be more successfully upheld. It has since become widely recognised that better enforcement of one set of human rights is imperative to protect other rights and freedoms. A freedom from corruption would have an essential role in upholding and enforcing other human rights. And here we are not talking solely about protections against torture, slavery, trafficking and other basic human rights. In societies where corruption is endemic, it can permeate every dimension of daily life—from obtaining a public education, to seeing a doctor, to obtaining a driver’s license, to starting a business, to paying taxes. Unless, and until, freedom from official corruption is ensconced as a stand-alone human right, however, the state of governance envisioned in the UDHR, UNCAC and other human rights and anti-corruption conventions will remain elusive. to be published in summer 2017. This blog is based on the attached article, “Freedom from Official Corruption as a Human Right”, published by the Brookings Institution in January 2015, which I co-wrote with the U.S. legal scholar Andrew Spalding.